Ages 5 and up.. 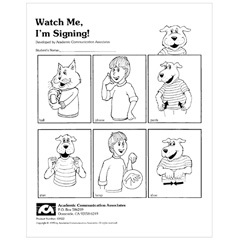 Provide each of your students with a sign language booklet showing 48 basic signs. You receive 12 copies of the booklet. Provide each of your students with a personal copy of these basic signs.